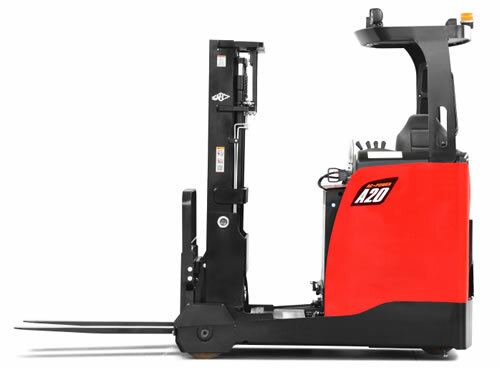 Using innovative technology and the latest Curtis AC system, the A-series 1.2 – 2.0t Reach Truck offers a space-saving design which enables it to excel in a number of applications. Providing the ideal tool for loading, unloading, handling and stacking, it boasts high performance in extremely narrow passageways and confined spaces. The economical truck uses the latest drive and control technology to ensure greater productivity whilst at the same time reducing energy consumption. The easy to read multi-display monitor provides essential information to the operator including battery status and travel direction. Using a state-of-the-art design, the reliable reach truck offers a spacious cabin which ensures maximum safety and utilisation of warehouse capacity at bigger heights, enabling excellent visibility of the load.